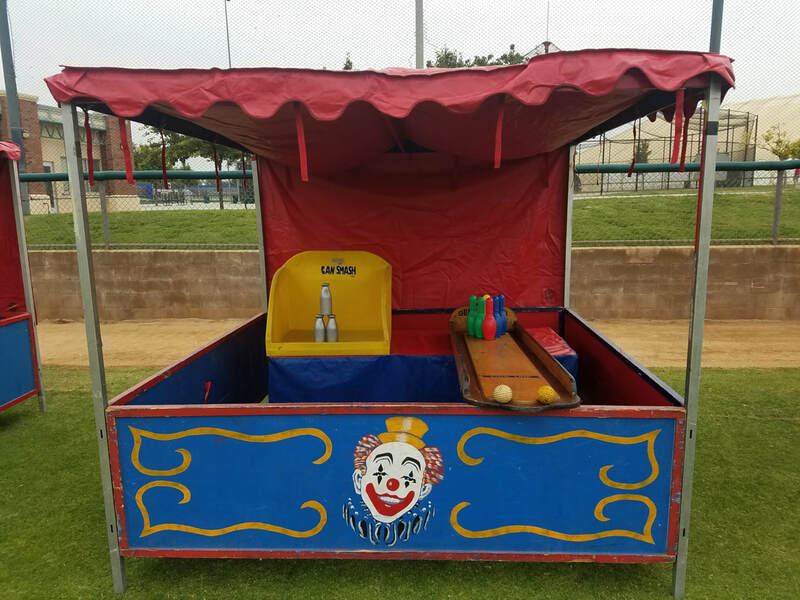 Carnival Games for Corporate Events - Interact Event Productions - Corporate Event Planning at Wholesale Prices! 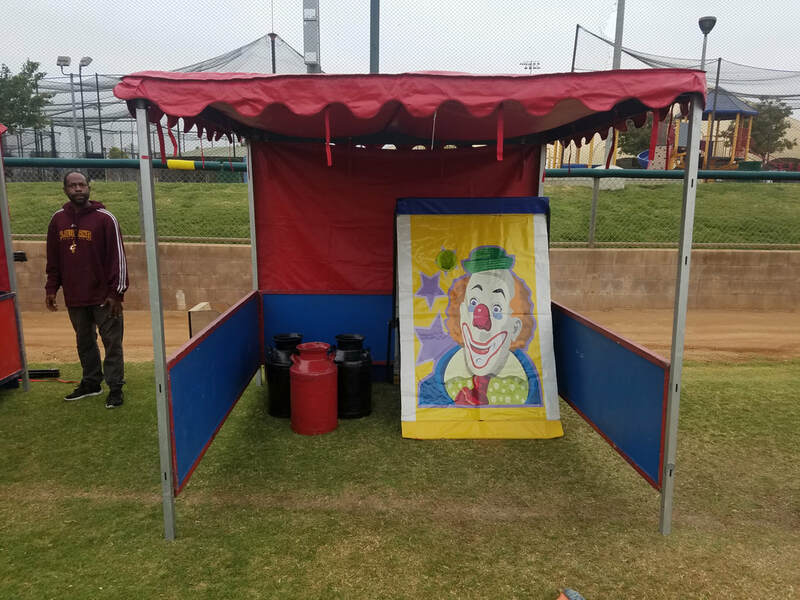 ​We have a large assortment of carnival games that we use for the events we service. 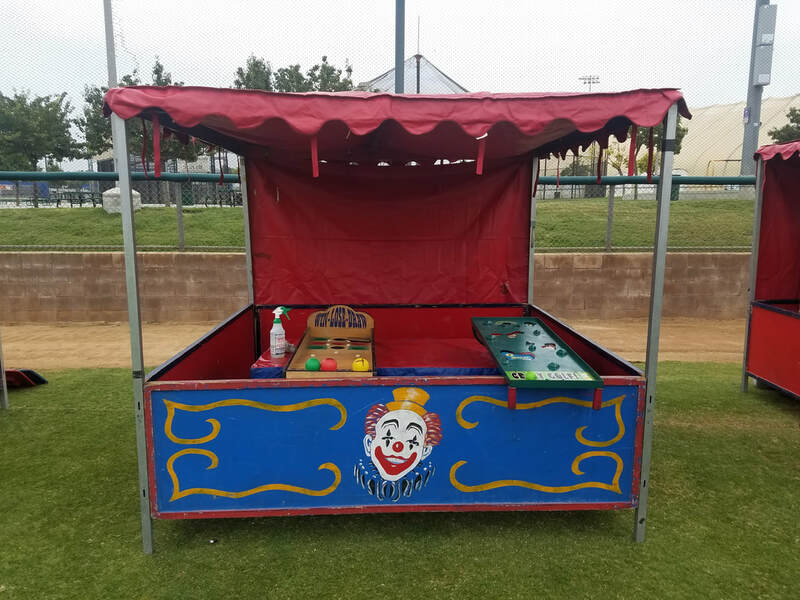 If you want to have a carnival themed event on the west coast, we are the #1 stop because we have the booth rentals, games and everything else to make your gathering a success. 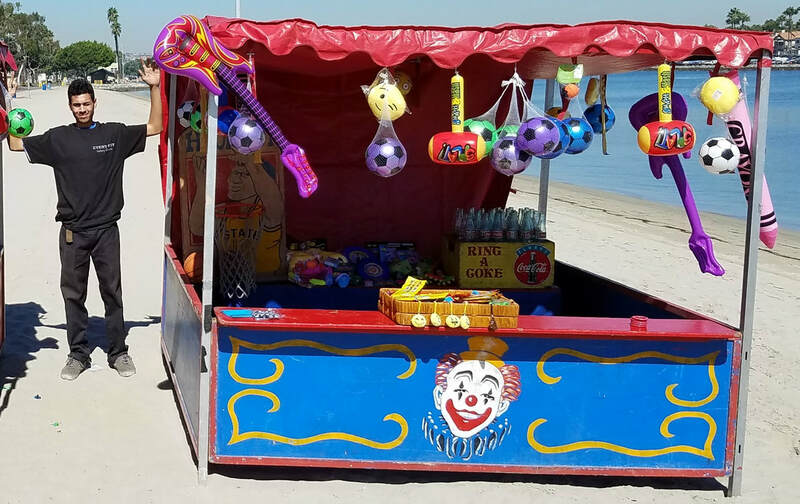 The balloon dart game is another traditional carnival game. Throw darts at the balloons to win a prize. Participants pull the ring back and let it swing foward towards the bull's nose. If the ring hooks the bulls nose, they win! Throw as hard as you can to knock over the heavy milk cans. Can you throw hard enough to knock them all over? Have a date to impress? 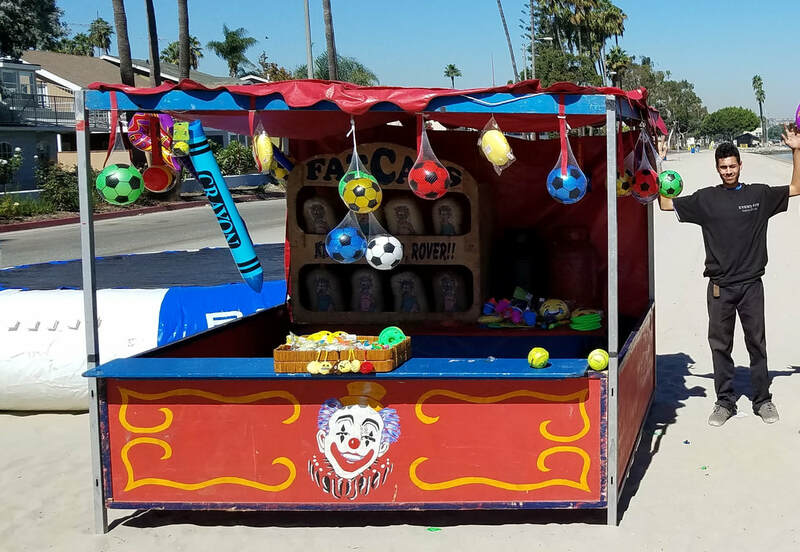 This is a great carnival game for adults, teenagers and kids. A timed game. 2 contestants compete against one another to see who can get more milk out of the utters. Whoever fills the bucket more, wins. Requires water. 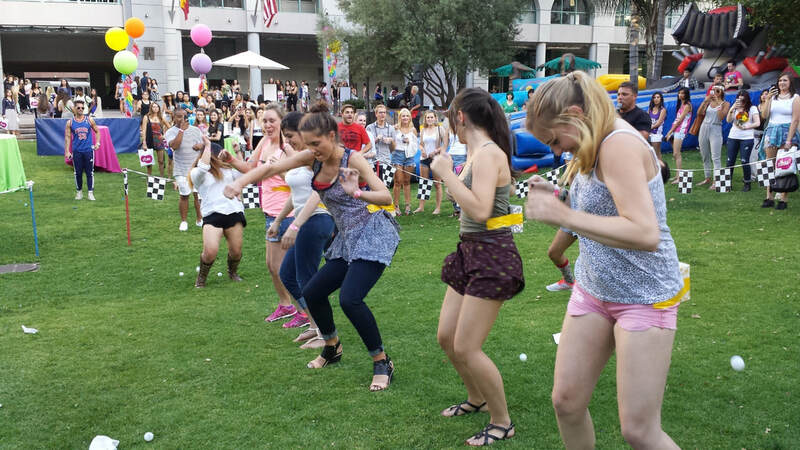 This is a traditional large bean bag game. Participants attempt to knock down fat cats off pedestal. Knock over an entire row to win! The small high-striker is a must at all carnivals and picnics! 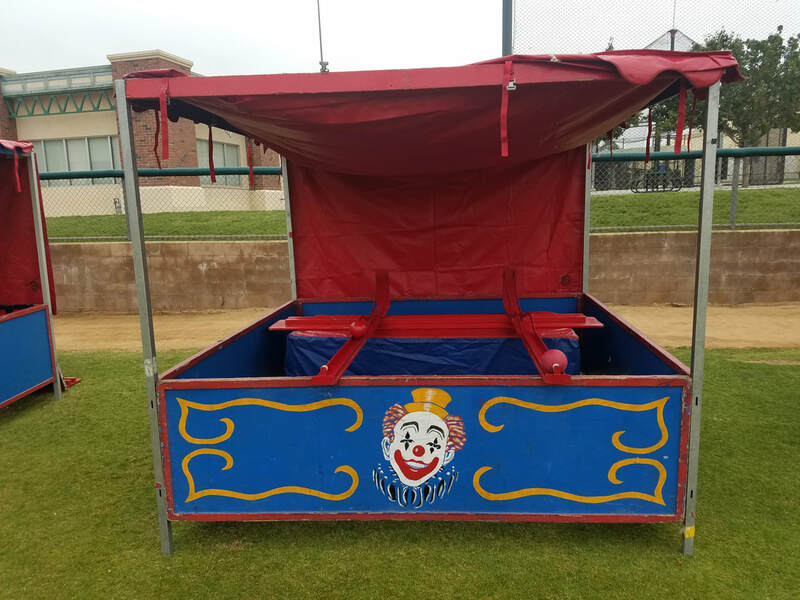 Pit your kid's strength against this classic carnival favorite and see who has the strength to send the ball flying skyward! Let a small ball roll and see what numbered lane it lands in. Contestant gets 3 rolls, add up score, if total is under 11, they win. Let a small ball roll and see what colored lane it lands in. Toss plastic or wood rings around the little bats. Seems simple enough, that's why it's a carnival game favorite. Try to toss a wooden or plastic hoop over the top of a large bottle. Toss three Whiffle balls to try and make Tic-Tac-Toe. 3 balls in Tic Tac Toe formation wins. Let a Whiffle ball roll and land inside of different colored tin pan cups. Contestant gets 1 roll, where it lands determines prize. ​Tipsey is a newer version of the old Punk or Cats game where you have to knock down the cat or punk to win. ​The player receives three whiffle balls. The player must roll the whiffle balls down the game one at a time and try to make them land in the red holes. 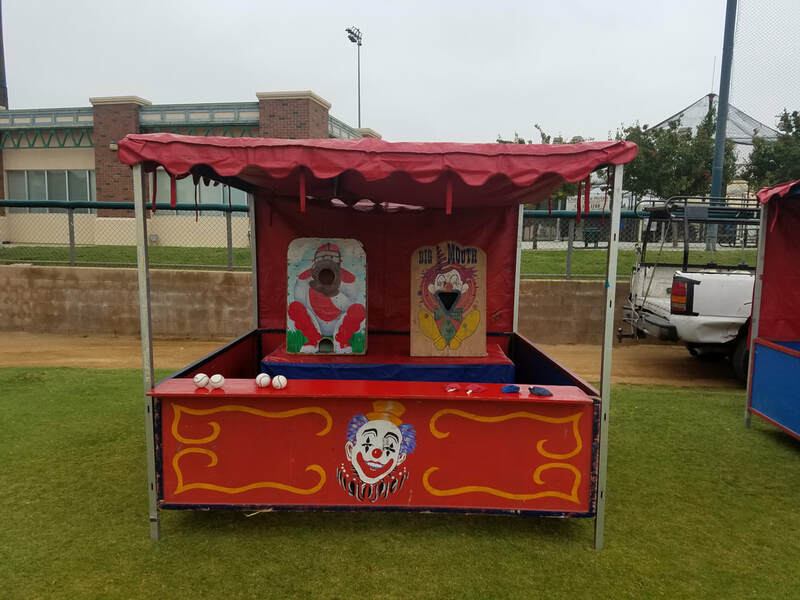 Here are some pictures of the carnival games and booths that we bring to your company picnic, corporate event, school fun fair or community gathering. 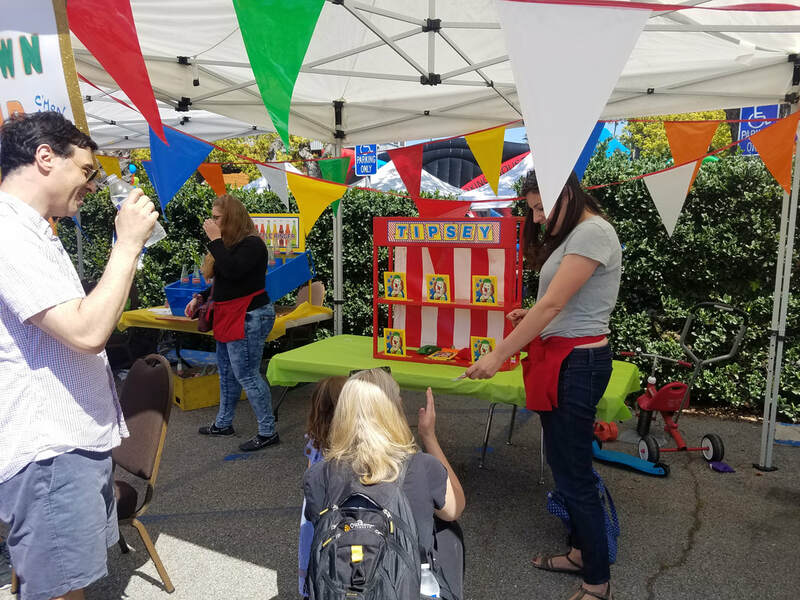 Depending on the demographics of your audience, we will choose the perfect carnival games for your event. 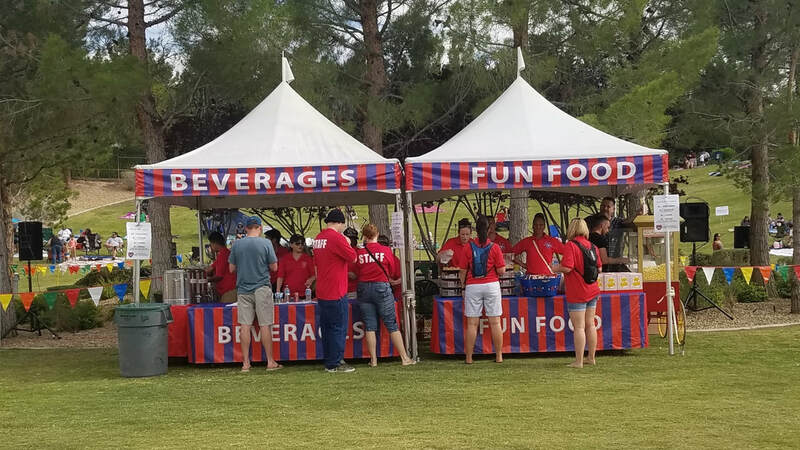 We have 30+ years of experience with company picnics and carnival and we know how to customize a carnival to the specific group we're entertaining. 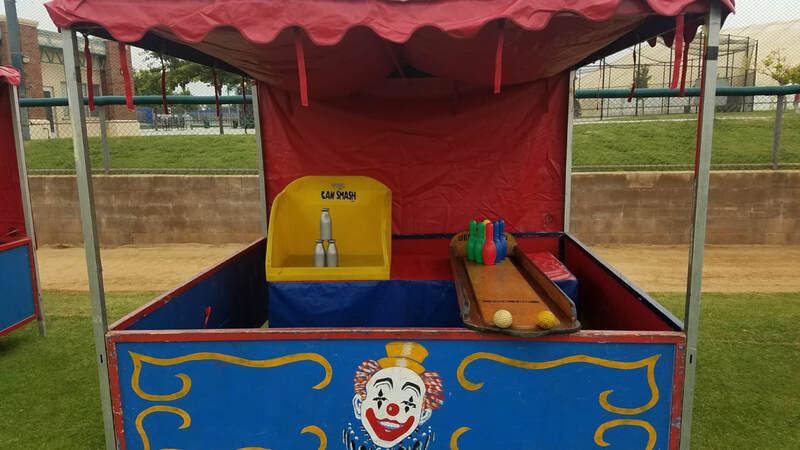 In addition to the carnival games listed above, we also have some more adult friendly carnival games that are great for corporate parties and events. 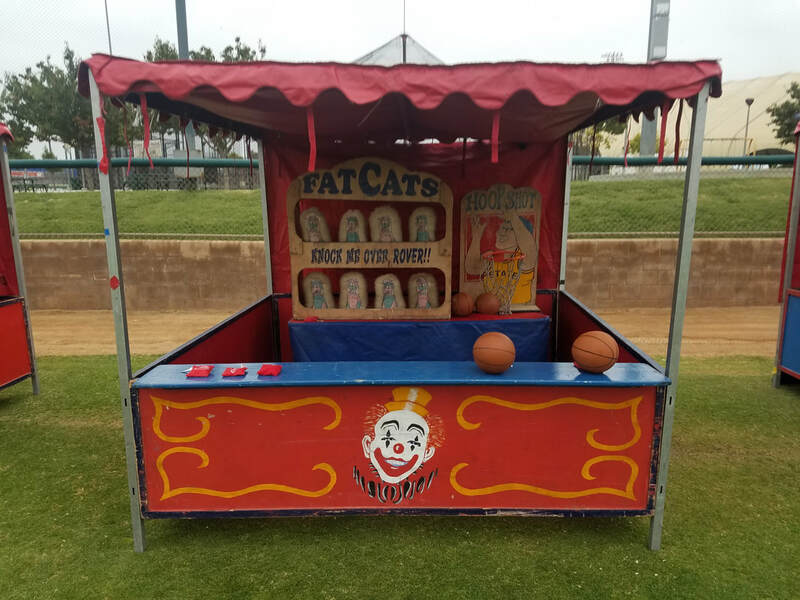 We have a massive inventory of carnival games for corporate events of all kinds, whether it's just for adult entertainment or a more family friendly atmosphere. 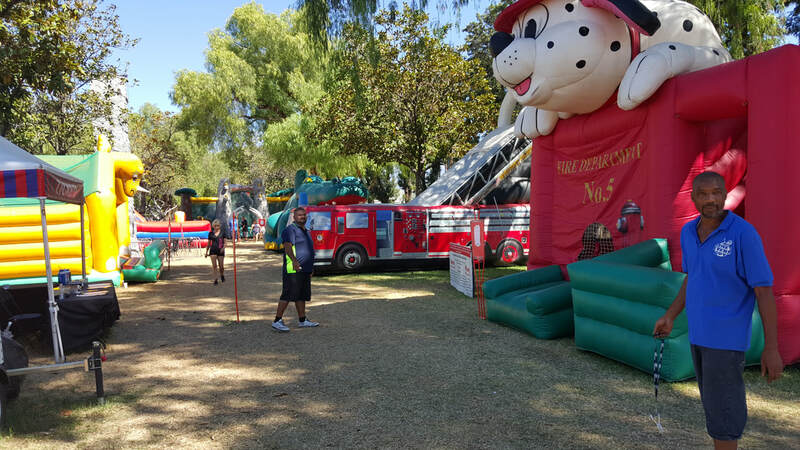 This is a ton of fun for children, adults, senior citizens, and even the spectators. Mix some real money in with some fake money and you have a recipe for a exciting time. Choose who will be the lucky contestant to sit onboard our dunk tank and watch them get soaked! 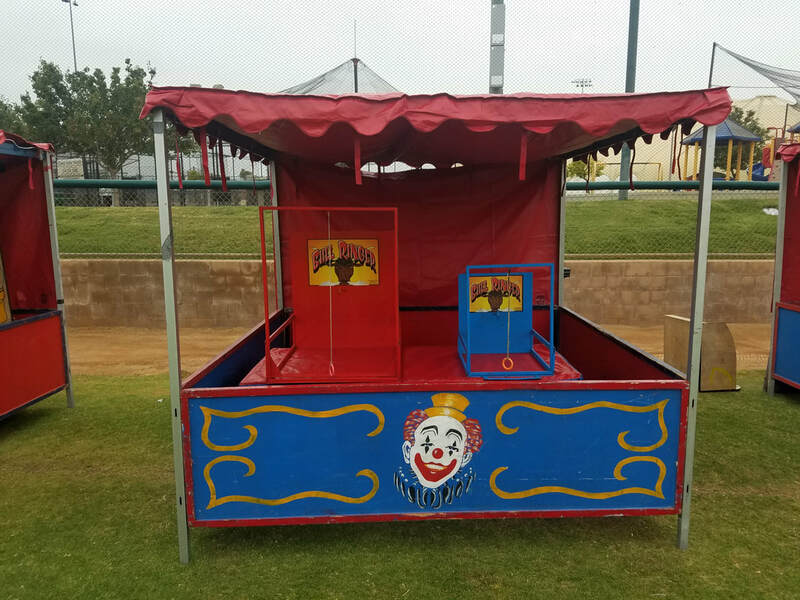 Our High Striker carnival game is a popular game for carnivals and festivals. High Striker contestants swing the hammer against the block and try to ring the bell at the top. 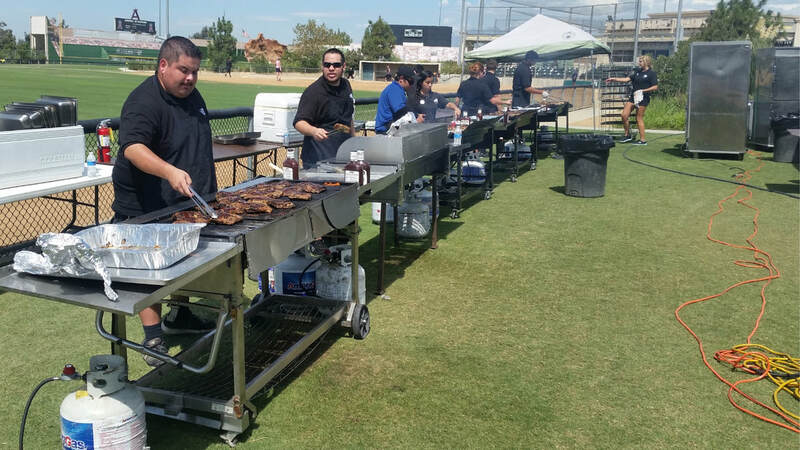 Add the High Striker to your next carnival or company picnic. The object of the game is to toss small foam footballs or bean bags thru the hole in the board. This is another carnival old favorite. Hoop it up with this one of a kind basketball challenge. A downscale version of basketball, where participants try and make a basket with a mini basketball. Contestant gets 3 trys, 3 in 3 wins. Contestants attempt to toss baseballs through a hole in a facade. Each contestant is given 3 balls for a ticket and prizes are given for the number of balls thrown through the hole. 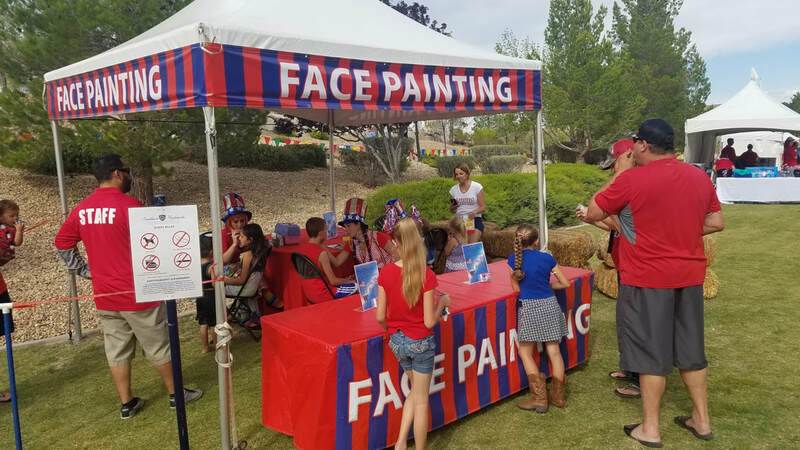 We offer one of the largest assortments of carnival games for corporate events, all our carnival games and booths have a professional look that draws in the crowds. 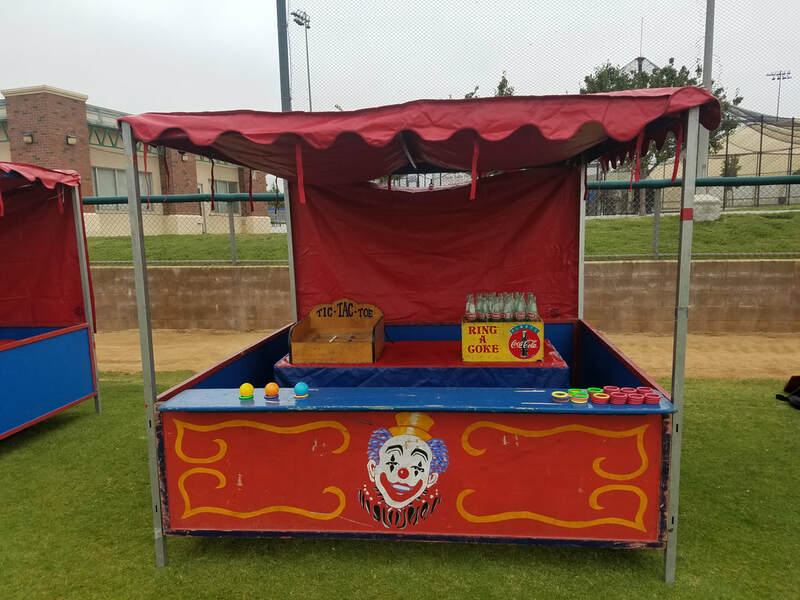 A carnival booth is a great way to raise money for a company charity, school event and/or community cause.